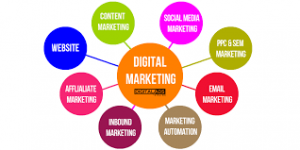 Exopic Media is full-service Digital Marketing Agency in Waterloo, We work as part of your team to build digital campaigns that exceed your goals. Our mission is to help small and medium size organizations in Kitchener Waterloo region increase exposure, get more customers and get more leads. Get more leads and advance your business through improved search rankings, increased social reach & engagement, and industry-relevant evergreen content with Exopic Media. Exopic Media is full-service digital marketing and Creative Design agency devoted to helping clients build their brand. Call! Now at +91-7678237402 or send your Query at info@exopicmedia.com.